SFC Ryan N. Love enlisted in the U.S. Army in September 2003. He attended Field Artillery One Station Unit Training (OSUT) at Fort Sill, OK. Upon completion, he attended Basic Airborne School and after his graduation was assigned to C Btry 1-321 FAR (ABN) at Fort Bragg, NC. He progressed through the enlisted ranks from Private to Sergeant serving as a Cannoneer and the Unit Armorer. While at Fort Bragg, he completed one combat deployment to Iraq in 2005-2006. After returning from his deployment, SFC Love re-classed to the Infantry. 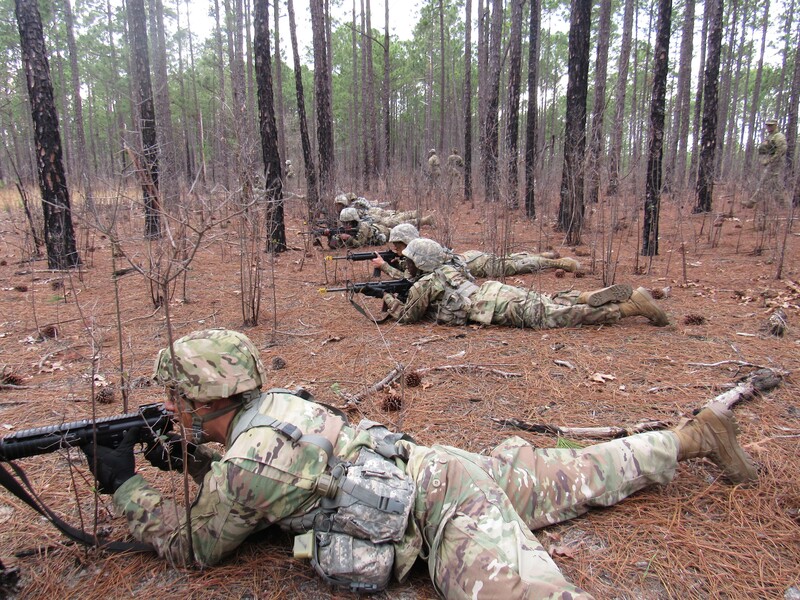 He then attended Infantry One Station Unit Training (OSUT) at Fort Benning, GA. Upon completion he was assigned to D Co. 2-2 SCR in Vilseck, Germany where progressed from Sergeant to Staff Sergeant and served as a Vehicle Gunner, Team Leader, Rifle Squad Leader, and Weapons Squad Leader. SFC Love completed two more deployments at this duty station, one to Iraq in 2007 - 2008, and one to Afghanistan in 2010-2011. After returning from Afghanistan in 2011, SFC Love was assigned to Fort Jackson, SC where he served as a Drill Sergeant, and Senior Drill Sergeant in 2-39 IN Reg from 2011-2015. While assigned to F 2-39 IN Reg, he was awarded the Drill Sergeant of the Cycle in 2015. His most recent assignment was to D Co. 2-502 IN at Fort Campbell, KY. SFC Love served as a Heavy Weapons Platoon Sergeant for 30 months at this duty location. SFC Loves’ military education includes the Primary Leadership Development Course, Advanced Leader Course, Senior Leader Course, United States Army Drill Sergeant School, Total Army Instructor Course, Common Faculty Development-Instructor Course, Combat Life Saver Course, Combatives level 1, Sexual Harassment/Assault Response and Prevention Course, Master Resiliency Trainer Course, Urban Breachers Course, Air Assault School, Basic Airborne School, and Unit Armorer Course. SFC Loves’ awards and decorations include the Meritorious Service Medal, Army Commendation Medal (4 bronze oak leaf cluster), Army Achievement Medal (1 silver oak leaf cluster), Meritorious Unit Citation, Good Conduct Medal (4th Award), National Defense Service Medal, Afghanistan Campaign Medal (1 combat star), Iraq Campaign Medal (3 combat stars), Global War On Terrorism Service Medal, Noncommissioned Officer Professional Development Ribbon (3rd Award), Army Service Ribbon, Overseas Service Ribbon (4th Award), NATO Medal (1st Award), Expert Infantryman Badge, Combat Infantryman Badge, Combat Action Badge, Drill Sergeant Badge, German Marksmanship Badge, Parachutist Badge, and the Air Assault Badge. SFC Love has been married to Zoe since June 2009 and they have one son, Elliot.